Johannesburg, Dec 12: Cricket South Africa (CSA) on Monday announced that India's two-day warm-up match ahead of their three-Test series against the Proteas, has been cancelled. According to the CSA, India have insisted on two days of training rather than a practice match. "Please be advised that the two-day warm-up match for India at Eurolux Boland Park will no longer be taking place. India have opted for training sessions on those days," the CSA said in a statement. 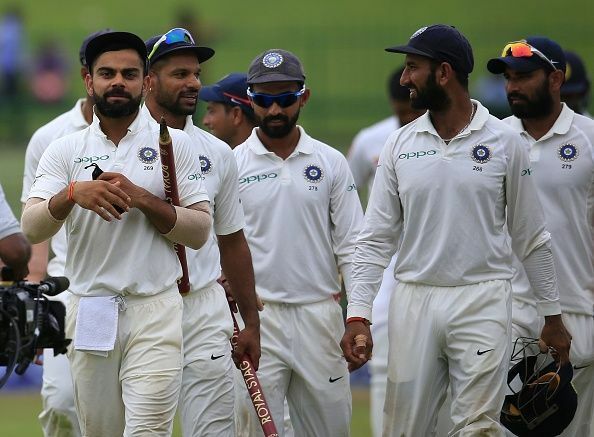 While no official reason has been given for cancellation of the tour game, the change in schedule means that India will straightway head into the opening Test in Cape Town from January 5. Earlier, the Virat Kohli-led side were to play against a CSA XI ahead of the opening game. The Indians will play two more Tests with the SuperSport Park in Centurion hosting the second game from January 13-17 while the final five-dayer will be hosted at the Wanderers here from January 24-28. The Test series will be followed by a six-match One-day International series, starting February 1.